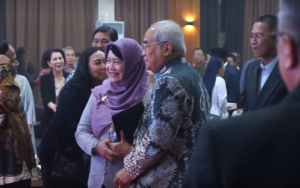 On Monday, April 1, 2019, Budi Luhur Cakti Education Foundation celebrated 40 years of work for the country. 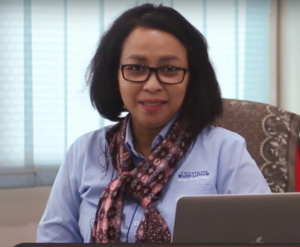 Budi Luhur Cakti Education Foundation oversees Universitas Budi Luhur, Akademi Sekretari Budi Luhur , Budi Luhur Roxy Campus, Budi Luhur Salemba Campus, Pakarti Luhur Amik Campus, STMIK Campus Atma Luhur Pangkal Pinang, Budi Luhur High School, Budi Luhur Vocational School, Budi Luhur Middle School, SD and Budi Luhur Kindergarten. This activity also invited Mr. Drs. H. Djaetun HS as founder of the Budi Luhur Cakti Educational Foundation, Kasih Hanggoro MBA as Chair of the Budi Luhur Cakti Foundation, Dr. Ir. Illah Sailah, MS. as Head of Region 3 LLDIKTI, Prof. Dr. Sc. Agr. Ir. Didik Sulistyanto as Rector of Universitas Budi Luhur, Fenti Sofiani S.Pd., M.M. as Director of the Akademi Sekretari Budi Luhur, officials, lecturers, and employees of Univeritas Budi Luhur, Principals and Budi Luhur School teachers and representatives of residents around the campus. 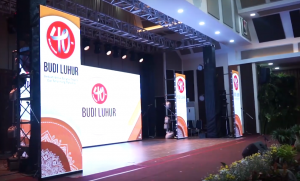 The 40-year celebration of the Budi Luhur Cakti Education Foundation works starting with a variety of activities such as the 40-year video screening of Budi Luhur Cakti Education Foundation, a video of congratulations from Dr. Ir. Illah Sailah, MS. as Head of Region 3 LLDIKTI, Budi Luhur officials, alumni and first generation of Budi Luhur students and local residents, performing traditional dances and songs from Budi Luhur school students, awarding Budi Luhur employee work loyalty for 10 years , 20 years, and 30 years, the announcement of the winner of the sport and innovation competition, and ended with the cutting of 40 yellow rice cone. The program also officially opened the new Auditorium building, named Grha Mahardhika Bujana. At the peak of the Budi Luhur Cakti Education Foundation Anniversary event, a night of drama and dance was performed that told the life journey of the founder of the Budi Luhur Cakti Education Foundation, Mr. Drs. H. Djaetun HS. Before the peak of the 40-year Anniversary of the Budi Luhur Cakti Education Foundation, a series of activities were carried out. As part of the Budi Luhur Cakti Education Foundation, Akademi Sekretari Budi Luhur participated by carrying out activities such as the Speech Contest and Essay Contest Writing for Students of Secretariat and Office Administration, Typing Contest and Indonesian Correspondence for Jabodetabek Secretariat Students, and conducting Workshop on Millennial Tips How to Achieve and Exist in Era 4.0. 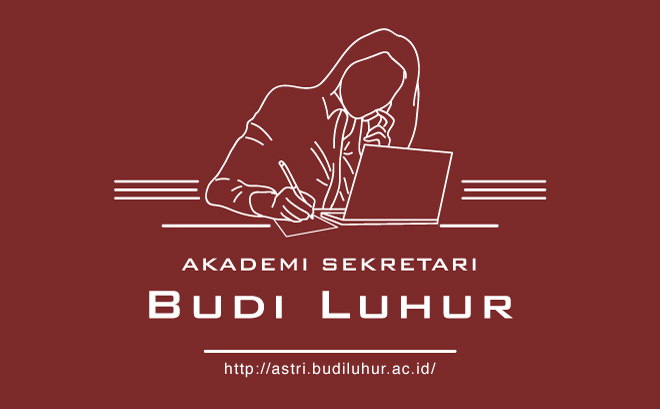 Akademi Sekretari Budi Luhur wishes to celebrate the 40th anniversary of the Budi Luhur Cakti Education Foundation, hopefully it will always produce graduates who are intelligent, virtuous, qualified and superior in their fields.